– We built and launched our newest platform, Altmetric for Institutions. Take up has been really positive and we currently have over 15 institutions either already implemented or in the process of being set up across the UK, Europe, Australia and the US. 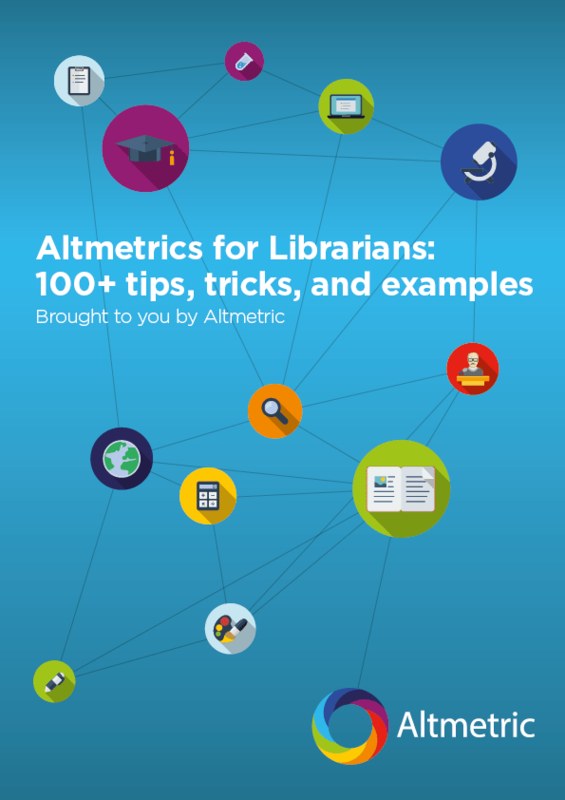 – We helped organise and run the 1:AM altmetrics conference – 2 days of great sessions that included presentations from publishers, researchers, librarians and funders. The event was more popular than we could have hoped for, and we’re already starting to discuss plans for next year. – Our top 100 list, built by our developers with design help from the team at Digital Science, has received over 15,000 unique visits since its launch in mid-December. The accompanying blog post has been viewed nearly 2,000 times, and we saw some great press coverage in major outlets including the Telegraph, the Times Higher Education,the Huffington Post and the Guardian. 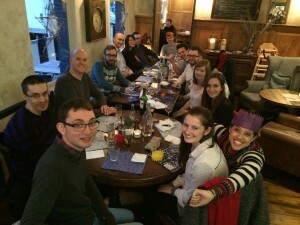 – We ran our first ever publisher day in London. Organised in conjunction with figshare, the event brought together about 50 interested stakeholders for a day of discussion and brainstorming. Stay tuned for news on future events! – Speaking of publishers, we’re continuing to see a growing demand for our badge visualisations. Publishers Wiley, Health Affairs, Frontiers, Springer and ScienceOpen are among a number of content providers that added the Altmetric data to their article pages. Additionally we announced further roll out with platform providers HighWire and Silverchair, meaning it is now even easier for their publishing partners to offer their readers and users the additional context and insight that Altmetric data offers. – Our team grew from 7 at the end of 2013 to 18. Our new team members include developers (Scott, Maciej, Shane, Matt M, Matt P, and Jakub), product sales managers Sara and Ben, customer support exec Fran, training and implementation manager Natalia, and Kathy who joined as our COO. All of these new colleagues have added a great amount of knowledge and experience to our day-to-day operations, and we’re feeling well-placed to take on any challenges and opportunities that next year will bring! Alongside all of this we’ve continued to attend and present at a huge number of events and industry conferences. We’ve been actively engaged with the altmetrics discussion and debate via platforms such as our blog and Twitter, and continue to work closely with ongoing projects and reviews (such as those being undertaken by HEFCE and NISO) to help shape direction for the use of altmetrics. Looking ahead to 2015, we plan to build on the standard we’ve set this year. We’ll be further involved with driving the discussion around the use of new metrics in research evaluation, and will work to ensure that our platforms and data continually offer our users the best and most valuable insights.